Home // K-Blog // What is the connection between 3D printing and ecology? What is the connection between 3D printing and ecology? While 3D printing is seen as a cutting-edge tool serving professionals and makers, the technology is also regarded as a way of producing in a cleaner and more environmentally-friendly manner. Below are 5 points explaining why 3D printing and ecology are intimately linked! 3D printing, the end of mass production? New technologies, 3D printing in particular, enable industry to create ever more personalized products meeting consumers’ needs. In medicine for instance, one of the advantages of additive manufacturing is its ability to create made-to-measure items like prostheses, implants or hearing aids. 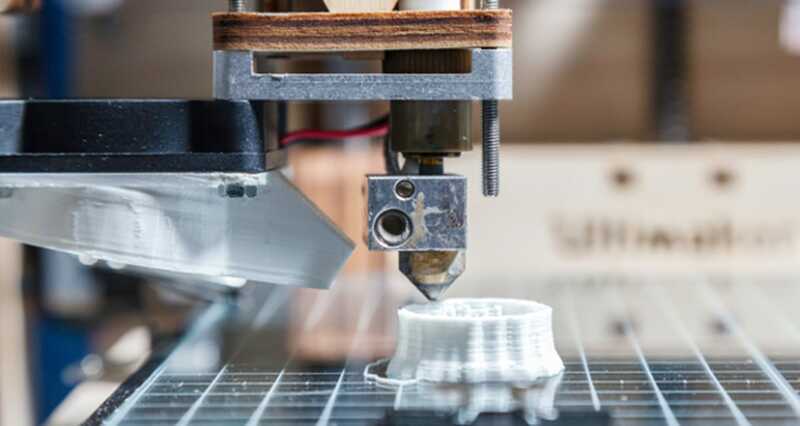 By modifying the way everyday goods are produced and stored, 3D printing could drastically transform manufacturing industry, hitherto constrained by economies of scale that are encouraging mass consumption. 3D printing offers controlled and customized production adapted to market needs! Built-in obsolescence is the tendency of products to be specifically designed with a limited life span with a view to increasing their replacement rate. 3D printing aims to fight this phenomenon by offering us the possibility of repairing objects ourselves. You no longer need to part with any money if you break the button on your coffee machine, a ring of your shower curtain or an accessory on your vacuum cleaner. Model, digitize or download the spare part and print it directly at home. The very process of 3D printing is based on additive manufacturing of an object, i.e. superposing material layer by layer until you obtain the final model. The final weight of the object is equivalent to the quantity of material used to make it. A technique that contrasts with subtractive manufacturing methods like sanding, cutting or milling, and ultimately reduces waste material during the manufacturing stage. 3D printing is regarded as a clean and more environmentally-friendly means of production! Starting with a digital file, 3D printing produces a physical object. That being the case, the entire production cycle of a company is affected. Take the case of a company whose designers are based in Japan. When the product has been conceptualized, they send the 3D design to the Los Angeles marketing teams, who only have to print the prototype in 3D in their office. Subsequently the customer buys and downloads the digital file of his product from the brand’s site then prints it directly in 3D at home! In the end, transporting the object is reduced to a single exchange of 3D files via the internet. 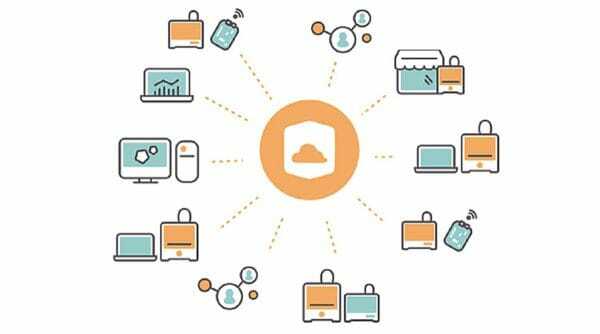 Transport of goods is reduced to a minimum or even eliminated in certain cases, giving birth to a new type of production: this is the era of cloud manufacturing! At ARMOR, environmental issues have always been one of our priorities. Our environmentally responsible manufacturing firm makes technological and societal innovation the driving force behind its projects! OWA’s 3D range comprises a quality recycled and recyclable filament compatible with most 3D FDM (fused deposition modelling) printers. 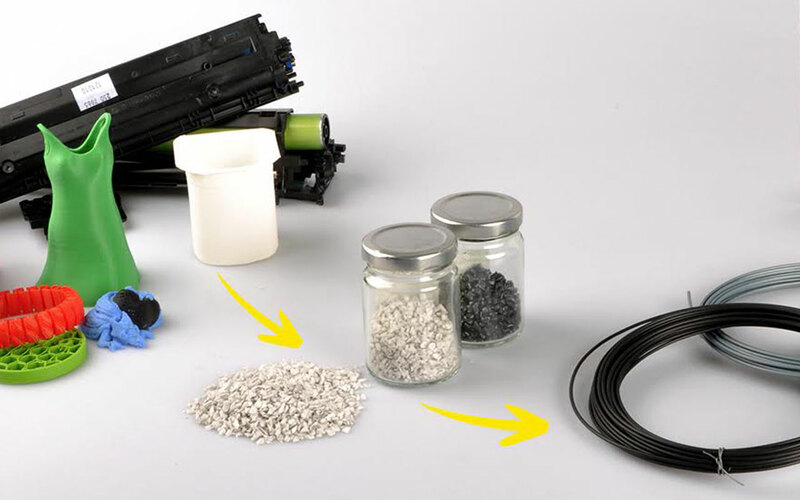 In parallel, OWA 3D also offers a waste collection service (filaments, used reels and 3D printed objects) to ensure a veritable end-of-life treatment for them, thereby reducing their environmental impact.